Wellington downtempo electronica producer Psyrok has just released a new collaborative EP via his own label Psylince Records titled 'Calculus'. Following on from 2009’s ‘Akinosuke’, the new EP continues the partnership between Psyrok and talented Swedish vocalist Jenny Larsson (aka Li'l Sister Jen). ‘Calculus’ sees the pair continue their modus operandi of collaborating over the internet, with Psyrok producing, arranging and mixing the music in his home studio in Wellington; and Jen recording her vocal tracks half a world away in Stockholm, Sweden. Despite having now released two EPs together, the two have still never met, and aside from a joint interview with Radio New Zealand in 2009, they have never even spoken. While this approach may seem unconventional to some, it works well for this pairing, with the isolation involved in the recording of the EP adding something unique to the ethereal tone of the finished compositions. 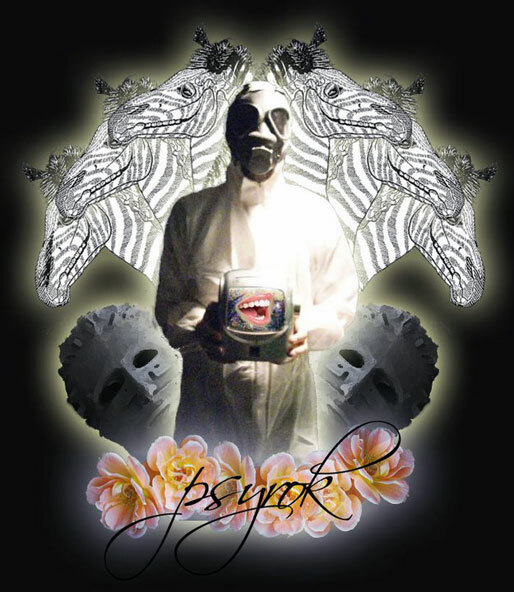 A video is being produced for the first track from EP – 'Phoney', and Psyrok is continuing to work on new material in 2012, including remixes for other New Zealand artists. 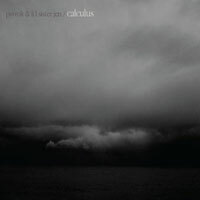 ‘Calculus’ is out now and is available for free download at www.psylincerecords.com. 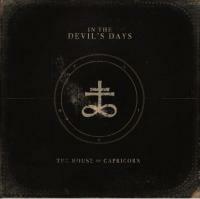 A limited edition CD version is also available for purchase. 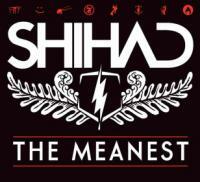 The digital version is available from iTunes and all other major online music stores. Since forming in Feb 2010, These Automatic Changers have embarked upon a mission to build their reputation as the new heavyweight champions of a kind of sound sorely absent in current public consciousness. 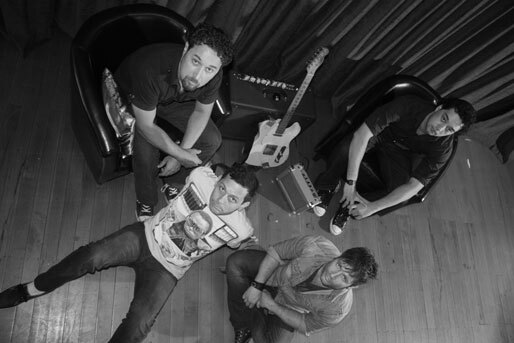 On March 29th the Auckland band will deliver a shot of adrenaline to the local music scene, with the release of their new single ‘One Fifty Six’. The local four-piece have been working hard to revive rock-n-roll with their unique blend of Delta blues, Zeppelin riffs and 70’s soul. As members of now defunct band Payola, Solomon and fellow band member Lee Catlin are no strangers to the Auckland music scene. 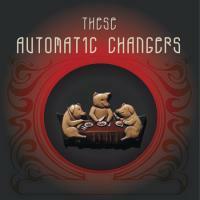 These Automatic Changers will be celebrating the release of ‘One Fifty Six’ at Juice Bar on Thursday March 29th. “We’re inviting everyone to join us for what promises to be a huge evening of rock-n-roll,” says Solomon. With a number of upcoming shows around the country and an album rumoured for later this year, you can expect to hear much more from These Automatic Changers. Sounds Aotearoa has stacked up an impressive array of successes for previous showcasing artists at its 2-day event. Artists have gone on to perform at some of the biggest festivals in the world including 2011 attendees Electric Wire Hustle and Bella Kalolo at Glastonbury and The Big Chill in the UK. Maisey Rika has been able to travel to Hawaii and mainland U.S. and Moana and The Tribe, Batucada Sound Machine, Pacific Curls and 1814 have had opportunities across Asia-Pacific including Penang, Korea and across Australia. Next year’s showcasing artists range in style from Indie Rock through Hip-Hop to Sunshine Reggae with lots in-between promising an engaging evening’s entertainment for the public, delegates and overseas guests. The first night of performances on Wednesday 14th March 2012 will be from Auckland indie-rockers Clap Clap Riot; soul-funk Hip-Hop group Kolab; Wellington funk-soul powerhouse Iva Lamkum; Hamilton 6 piece Dub Fusion mastersKnights Of The Dub Table; and the much lauded collaboration of Paddy Free and Dr Richard Nunns along with Horomona Horo and Waimihi Hotere that is Nga Tae. The following nights’ entertainment includes the French-electro-jazz world of the enigmatic Mamaku Project; super popular Wellington Sunshine Reggae eight-piece Tomorrow People; Street Soul Rapping from Auckland group Eddie Numbers; much respected DJ and producer Scratch 22 with his Electronic Psychedelia; and loveable Wellington Blues-Rockers The Nudge round out the event’s stunning presentation of NZ music. Having traversed the globe with previous stops including Berlin, Toronto, London, Madrid, Melbourne and Cape Town, among others, the Red Bull Music Academy is excited to be landing in New York for 2012. Music makers of all styles, methodologies and levels of experience are invited to apply until Monday 2 April 2012, for what will be a once in a lifetime opportunity. One of the most iconic cities on the planet, NYC has been immortalized in the pantheon of music - incubating genres like hip hop, disco, house, bop, no-wave and post-punk. NYC is inspiration central: a place where people from all nations collide, bringing music, culture and attitude with them. Music is everywhere, from cars cruising the block banging hip hop mix shows to the indie rock stars of tomorrow mashing drums in East Village practice spaces. Boomboxes blasting Willie Colón soundtrack outdoor domino games, and hipster troubadours play fiddles in the subway while kids shout the words to the latest A$AP Rocky single down the train aisles. After all, nothing's equivalent to the New York state of mind. 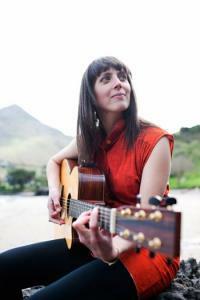 Amiria Grenell’s second album ‘Three Feathers’ is the winner of the Best Folk Album Tui for 2012. The Tui for the Best Folk Album has been presented tonight (Sun. 29 Jan, 2012) by the Recording Industry Association of New Zealand (RIANZ) at the Auckland Folk Festival in Kumeu (West Auckland). The other finalists were Mel Parsons from Westland and Otago quartet The Chaps. Lyttelton-based Amiria recorded ‘Three Feathers’ at the Grenell farm in Whitecliffs and family links run thick through the recording with brother Redford featuring on drums and guest appearances from partner Tola and Grenell’s father, New Zealand country music legend John. Other featured artists on the album include family friend Brent Thompson, Mara TK, Mark Vanilau, Tamara Smith, Gerard Masters and Jessie Moss. Released in September 2011, the album’s title track and another track ‘Wind Blows South’ are dedicated to a friend of the artist who died from cancer at the age of 22. ‘Three Feathers’ ranges stylistically from folk to reggae, country to blues. At age 10 Amiria played the violin, she also began playing the guitar and making up her own chords. Her first performances were at folk festivals in the Blackboard Concerts, where she sang original songs about animals and saving the earth. 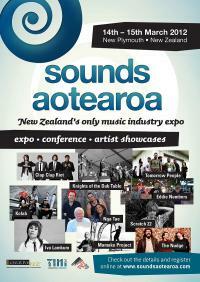 APRA NZ is pleased to announce six Song Summit 2012 grants for New Zealand APRA Members. These individual grants will cover trans-Tasman flights, accommodation and attendance costs for the event in Sydney from 26 to 28 May 2012. These grants are in lieu of APRA'd annual Professional Development Awards. Gathering together music industry experts with leading international and local songwriters, Song Summit 2012 will span a range of genres and facets of the music life cycle to deliver crucial professional and creative development opportunities. Three dynamic days of learning, networking, workshops and performances - this is a key event in the industry calendar. Outward Sound is pleased to announce the 1st round of grant recipients for 2012. Four Stage One grants were awarded to Midnight Youth, Street Chant, Tiny Ruins and Cairo Knife Fight. New Zealand singer songwriter Flip Grater has had a busy and exciting few years, gaining French representation with music management and branding company So-U, securing agents for six new territories, signing a deal with German label Make My Day and completing four European tours including a support tour for popular French band Cocoon. The indie singer’s signing to French indie label Vicious Circle is the latest in her string of new business partnerships. The deal includes France as well as the UK and will see Flip based in Paris for most of 2012 to write and record her forth studio album. Past releases by Vicious Circle include the collaborative album by Yann Tiersen (who wrote the soundtrack for the French film Amelie) and Shannon Wright. Rival State returns with a new sound and a new aesthetic, but with the same passion from their high school conception back in 2002. Like all stubborn teenagers first out of home the band ended up parting ways in 2007 to experience music from a different perspective. Somehow long grueling van tours across North America and Europe and living on the bones of their arses, led to the guys crossing paths. The Black Seeds will release their highly anticipated new studio album 'Dust And Dirt' on April 9 through Rhythmethod / DRM and worldwide from April 10. The long awaited follow up to 2008’s ‘Solid Ground’, 'Dust and Dirt' marks an exciting new chapter for the multi platinum selling Wellington band whose fan base has spread around the world in recent years. 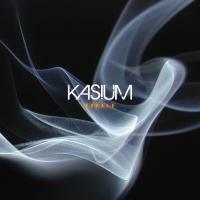 Self recorded and produced in their Wellington studio, the 13-track album introduces new sounds and styles not heard on previous releases whilst retaining the trademark sound that has seen the band remain one of New Zealand’s premiere acts for the past decade. ‘’Working in our own studio gave us the freedom to get the best out of ourselves over a longer period of time, and to trial new techniques and tones with Mike Fabulous at the controls’’ says singer/guitarist Barnaby Weir. 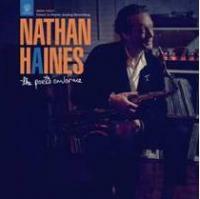 Multi-instrumentalist and producer Nathan Haines is set to release his eighth studio album, The Poet’s Embrace on March 19 in New Zealand. 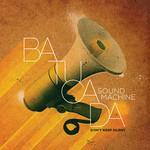 The album is Nathan's first live analogue jazz record. This time there is no hiding place, just a straightforward quartet recorded live to tape in the time-honoured tradition with no over-dubs or mixing. Using vintage microphones and minimal processing, the music was captured by an Ampex 300 1/2 inch tape machine via the EMI-Neve desk at York Street Studios, Auckland over just two sessions in December 2011. After 25 years in the game, which has seen Haines master an incredible number of genres including drum and bass, broken beat, house and jazz electronic, what emerges from the tunes on The Poet’s Embrace is a sense of a musician who’s gained his wings. The album will be available to pre-order from iTunes on March 5 and a limited edition LP will be released on March 19 alongside the standard CD and digital versions. The Eastern are a string band that roars like a punk band, that swings like a gospel band, that drinks like a country band, that works like a bar band, that hopes like folk singers, and sings love songs like union songs, and writes union songs like love songs, and wants to slow dance and stand on tables, all at the same time. Whether roaring as their big six piece string band or swinging the loud lonesome sound as a two piece and averaging over 200 shows a year, The Eastern can hold it down in all settings for all comers. 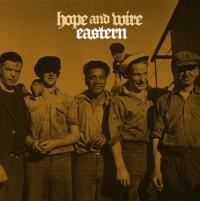 Constantly on tour The Eastern have played in every nook and corner of the good isles of New Zealand, and have broken strings and dented floors in parts beyond. From Papanui to Portland, Shirley to Sydney they’ve seen more than their share of barrooms and street corners, but treat any opportunity to hold it down and play as a gift and one they’d be fools to waste. They play like they mean it, like its all they know how do… because they do and it is. They’ve toured with Steve Earle, the Old Crow Medicine Show (twice) and the Lil Band of Gold as well as opening for everyone from Fleetwood Mac to the Jayhawks to Jimmy Barnes to Justin Townes Earle as well as Jim White, Victoria Williams and Vic Chestnut. Kimbra gets set for Auckland Cup Week! Mark Lanegan Band brings Blues Funeral to NZ this April! Kaiser Chiefs finally come to NZ! We spoke to Derty Sesh regarding the release of his latest album 'Apology Accepted'. Read the interview here. All of our interviews and reviews can be found on our Articles Page. Every tour we have featured in the past can be viewed here. Feature space is available in our newsletters from 25 March! Muzic.net.nz newsletters are sent out to over 8500 members! The next muzic.net.nz gig mail out is going out on 4 March.